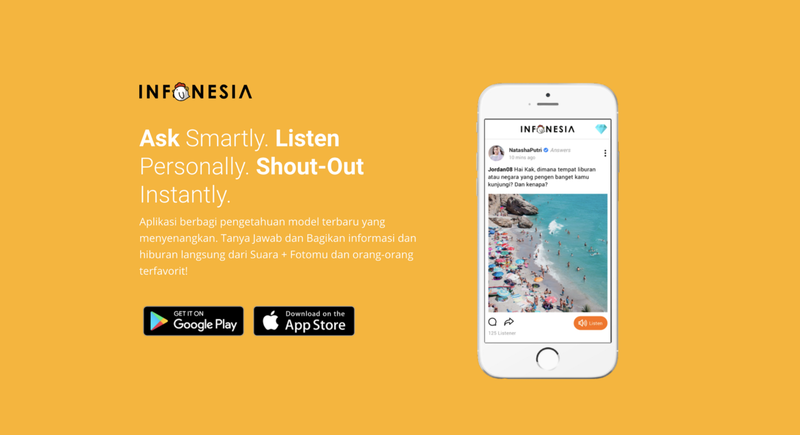 We announce our new partnerships with Tokocrypto and Infonesia as a go-to market strategy for Indonesia. Through these partnerships, we aim to introduce the first mass use-case of blockchain technology in Indonesia. Indonesia is the social networking capital of SEA with 145m active social network users, which is 56% of the total population (260m). Based on Digital Data Report 2019 from ‘We Are Social’, internet users in Indonesia have an average of 11.2 social media accounts, with an average daily usage duration of 3.5 hours. In tandem with this high penetration rate, the public’s interest in cryptocurrency has increased immensely, making Indonesia a rising market for blockchain. We believe that introducing a blockchain-based incentivized social networks could bring a tremendous network effect. Infonesia (App Store|Google Play Store) signed an MOU with TTC to join the Acorn Alliance to integrate a transparent rewards system for the first time in SEA. Acorn Alliance now has 7 online/mobile social services with more than 30m users. Infonesia is a Q&A and knowledge-sharing app offering new experience and a business model for active users. Users can listen to information and entertainment directly from their favorite respondents in voice recordings and Pictures. Users can receive answers to creative questions directly from their respondents and can make friends with users. Infonesia users will receive daily $ACN rewards for their contributions, such as asking and answering questions. All ACN rewards will be collected in TTC Connect and users will be able to transfer, swap to TTC, or spend ACN on other Acorn Alliance social apps as they please. With a unique and reliable service, now to be geared with a transparent rewards system, Infonesia will become the first mass use-case of blockchain technology and cryptocurrency. “The Indonesian public has a very high interest in blockchain technology and cryptocurrencies. By providing incentives to not only blockchain enthusiasts but to all users, Acorn Protocol will help Infonesia to accelerate both user growth and revenue,” said Ihsan Fadhlur Rahman, Founder & CEO of Infonesia. We believe in the power of community and people. We announce the partnership with Tokocrypto, one of TTC’s official exchange partners, to build a solid and vivid community in Indonesia with. Established in 2018, Tokocrypto is one of the leading fiat-crypto exchanges in Indonesia, aiming to build an easy, simple, instant, and secure platform. Additionally, it plans to become a community center for the general public to share technical knowledge, expertise and champion new ideas. Currently, Tokocrypto has partnerships with more than 20 blockchain & cryptocurrencies community and media all over the world. $TTC is the 5th cryptocurrency listed in Tokocrypto. "We are happy to collaborate with TTC to expand a real life usage of cryptocurrency and accelerate the mass adoption of the blockchain technology in Indonesia. Having local insights and industry expertise, Tokocrypto will cooperate with TTC in various ways, from community building to business partnership. We are more than an exchange,” said Pang Xue Kai, CEO of Tokocrypto. 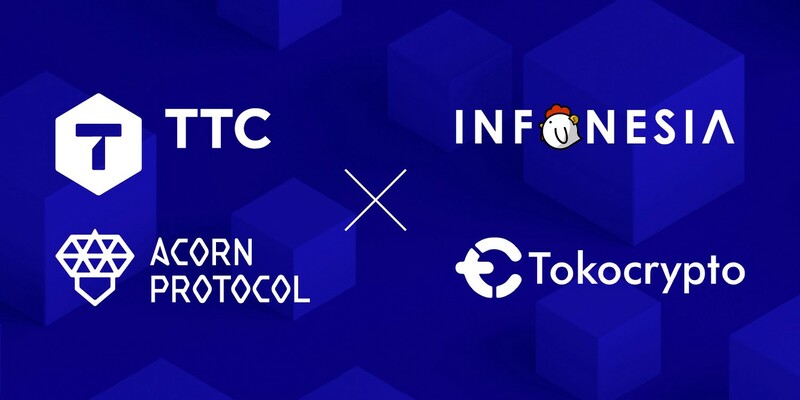 With the partnerships with Infonesia and Tokocrypto, everyday social users can now use TTC, a cryptocurrency, in their everyday lives. People can actively use Infonesia to gain ACN (convertible to TTC on TTC Connect) and cash it out as IDR to spend it for everyday goods offline. In the near future, the public will be able to go the other way around, depositing IDR to purchase goods online with TTC. If you have any questions, please contact us through our Telegram group and email. Thank you for your support and stay tuned for more exciting news. TTC is a blockchain fit for mass adoption and a sustainable token economy model. For details, visit our website. For the latest news on TTC, join ourTelegram and follow us on twitter. TTC is a blockchain fit for mass adoption and a sustainable token economy model.